Robyn Vilate: You may want one of these...just sayin'. You may want one of these...just sayin'. Ok guys, I know I don't usually post about this kind of stuff, but I was actually really excited when this new company contacted me about their kickstarter project. This is such an interesting product and actually something I could see myself using (being the germaphob that I am!) I feel like my crazy germaphob-ness has kicked in even more than usual since becoming a Mom, so this is definitely something that I'm supporting! Whether it's the record flu epidemic or the latest infectious disease going around, we are constantly being reminded about the importance of avoiding germs this time of year.... Although we all know public places are prime breeding grounds for these germs, they are almost impossible to avoid in our busy daily lives. 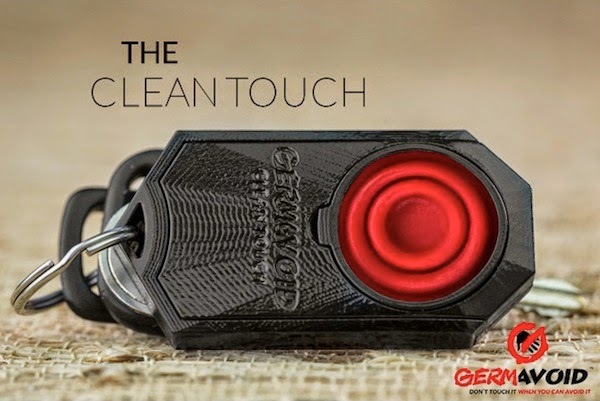 Luckily, we now have GERMAVOID, a company that just launched their first product called the Clean Touch. 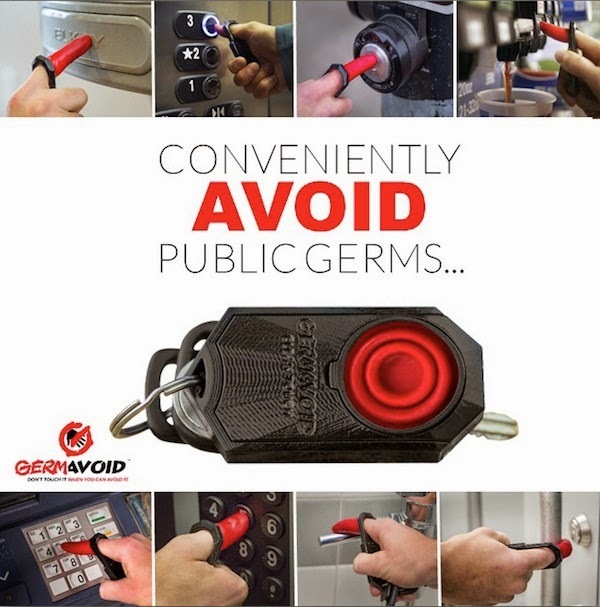 It is honestly the first and only product on the market that gives you the freedom to touch public surfaces without touching all the germs. From door handles and toilets, to buttons on soda fountains, ATM's, elevators, and so on...... It attaches right to your keys so it goes wherever you go and it's quick, easy, and discreet to use! They have just started taking preorders today so hurry over to their Kickstarter page to get your Clean Touch for a discounted price!! Make sure to tell your friends about it to help kickstart the new Germavoid generation!! Yes I want this! I didn't think this was real! But I need it in my life! Thank you Robyn!